If you are experiencing daily migraines, there are a few things it could be from. Chronic daily migraine headaches are typically a result of medication overuse. The increasing pain and symptoms can be from medication withdrawal. Addictive painkillers like: codeine or even aspirin can cause a vicious cycles of pain and needing more painkillers to cope with the pain. But they are not always from medication overuse. They can also occur with tension type, cluster headaches or injuries. If you are reading this, you probably have some form of chronic daily headache (correct classification term) and are looking for relief in some form. So let's get the terms straight first, because they can get confusing. Chronic migraine is a relatively new term replacing 'transformed migraine' and refers to headaches that are predominantly migrainous in nature and occur in individuals who do not overuse pain relief medications. Medication Overuse Headache (MOH) and New Daily Persistent Headache (NDPH) have different diagnosis criteria. NDPH is not a form of migraine... just to be clear. Chronic daily migraines have the ability to interfere significantly with your life. Every area may suffer. I mean every area! It's not just a physical strain, it's: social, financial, emotional, mental, spiritual... it affects everything. You will need to learn new skills to become more resilient to help you take back a little more control of your life. 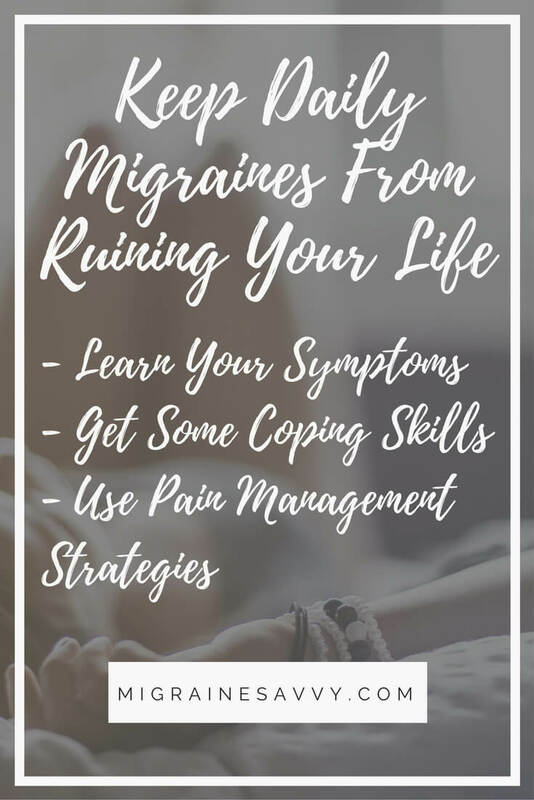 Here are the basic things you need to know and some tips to help you cope with this nasty, relentless type of migraine. Episodic migraines can transform into chronic daily migraines. 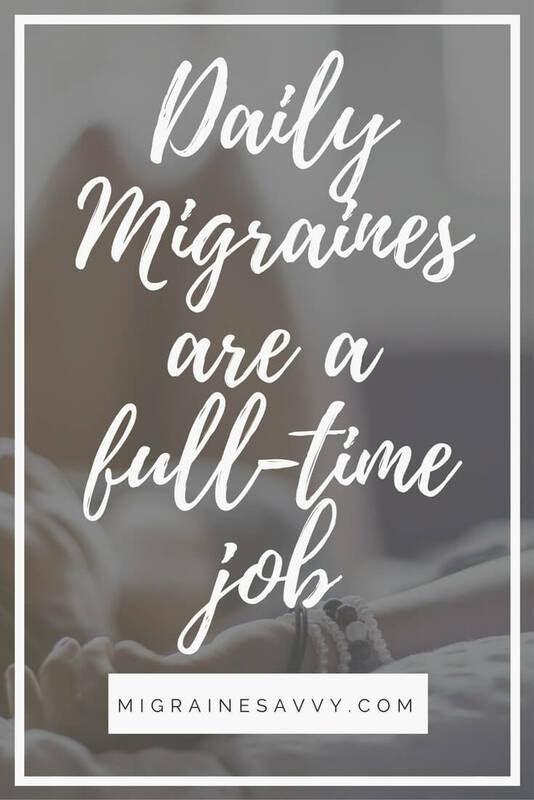 The general age for daily migraines to start falls between 20 and 30... but you will most likely have a history of migraine attacks beginning in childhood. It is important to know that migraines are a neurological disease and not a psychological disorder. Migraines are a genetically based disease. If you have a single parent that has migraines, you have approximately a 50% chance of having them too. Unlike a typical headache, a migraine has phases and numerous symptoms you will have to contend with. The headache is only one phase of the disease. Some people experience some of the symptoms and others experience all of the symptoms, it is different with everyone. A migraine can be induced by various controllable and uncontrollable triggers, including such things as weather patterns and menstrual cycles. 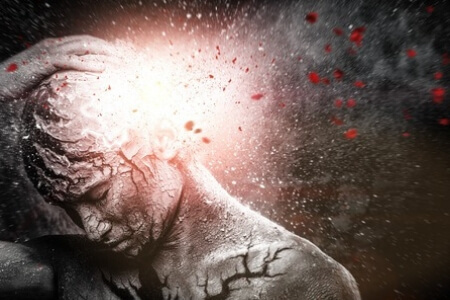 Many people experience having an aura prior to a migraine episode. An aura is a visual hallucination, smells or even sounds that are imagined. It is part of the entire migraine process, what I consider the early warning signals called the prodrome. The fact is that less than twenty percent of sufferers actually get auras with their migraines. Lucky me! For example, my symptoms can last all day before the pain phase starts and I won't feel the need to take my Naramig until midnight. You can learn all about symptoms and timing in my migraine pain management course. You can enroll for free and find out about what to do and when to act. A migraine can actually be life threatening although most are not. They can induce such conditions as strokes and comas, so they are not to be taken lightly. Some causes of headache can be life-threatening and require urgent treatment so it is important to see your physician to exclude these conditions. P.S. 3 months + daily = chronic! Make sure you have seen your doctor for the right diagnosis. The treatment of migraines and headaches differ. 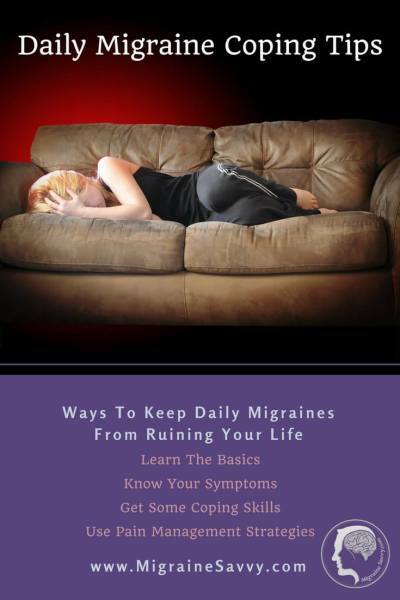 You can read migraine vs. headaches for more details. 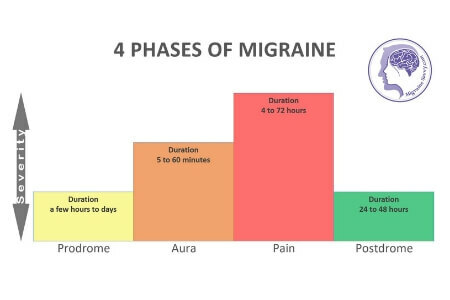 The diagnostic criteria states that before migraines can be considered chronic, they need to occur at least 15 days a month, for at least 3 months in a row. •	Moderate to severe pain. •	The pain is aggravated by routine physical activity. •	Causes a throbbing, pulsating sensation. •	The pain is on one side of the head. •	Sensitivity to sound and light. It is common for a person to have an occasional headache, but it is important to take headaches seriously. If you have two or more headaches a week and they are getting worse, then you need to seek medical help. If you need to take pain relievers for your headaches and have to take more than the recommended dosage of the over-the-counter pain medication in order to obtain relief, then you should consult your physician. See the pattern here? Finding a good doctor is essential. If the OTC pain relievers just are not working for your headache, there is a good chance it might mean migraine. Headache tablets do not work with migraines. You might like to read migraine vs headache to find out why. • is accompanied by a stiff neck, fever, double vision, numbness, confusion, or difficulty speaking. You can never be too careful with head pain or trauma. If your headaches are turning into migraines, are worsening, or the patterns change, please consult your physician asap. When anything changes away from your normal pattern, make sure you see your doctor as soon as possible. Keeping daily migraines from ruling your life can be hard work. Finding effective pain relief might be easy, or it might become somewhat of an emotional roller coaster. The cause of daily migraines is not well understood. 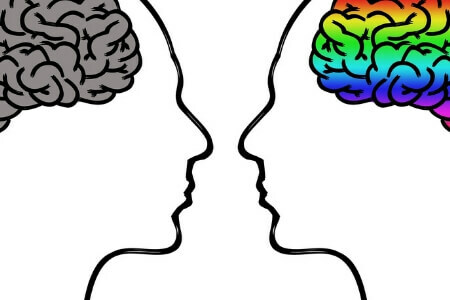 The current theory is that you develop a heightened response to pain signals or the part of your brain that suppresses pain signals is just not working properly. Taking headache medication too often can cause you to experience rebound effects and develop rebound headaches. For more details read my article on migraine prevention medications aka prophylactics. If you are one of the people that the above types of treatment do not help... then finding effective relief can become just like another full time job. Chronic daily migraines definitely have the ability to interfere (and destroy) with your life. Your relationships, your job, and your quality of life, can definitely present you with challenges in a normal situation, never mind when you add the physical, emotional and spiritual challenges of suffering from daily migraines. One of the single most important things you can do is keep a diary for your doctor. Keep details of your symptoms and treatment that you've used and how you respond to the treatment. Keep the diary for at least one month to provide accurate evidence. This will also establish your baseline of information to assess the effectiveness of future treatments. You can become more proactive in your lifestyle choices and make some changes. Your food choices alone can have a huge impact. Avoiding your migraine triggers is essential. This one is easy if you know the trigger, it is a bit more difficult when you don't. So, keeping a journal will help you to recognize your migraine headache triggers. Reducing wheat based products with gluten in them, dairy products and sugar could make the world of difference. Learn to check labels on food items you purchase, or better yet – don’t buy things you need to read labels on! For example: fresh meat like chicken or beef, fish, fresh vegetables, and fruit have no labels! It is so easy to steam some fish or bake it in the oven for 20 minutes and steam some veggies. Simple, clean, organic, if you can afford it... works well! There are some alternative therapies that can be effective. 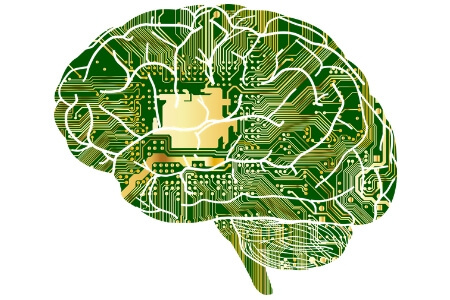 These include: acupuncture, biofeedback, meditation, massage, electrical stimulation of the occipital nerve, and herbs, vitamins and minerals. Click here for my suggestions on natural migraine prevention. If you'd like some more help, please check out my eBook Migraine Management and my migraine pain manage course.